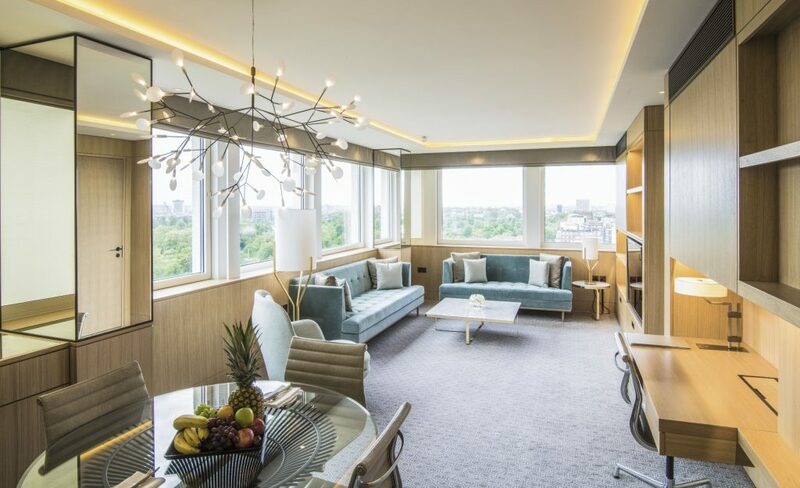 Royal Lancaster is a mid-century architectural icon designed by the famous architect Richard Seifert and built in the swinging 60s, a design era we love. 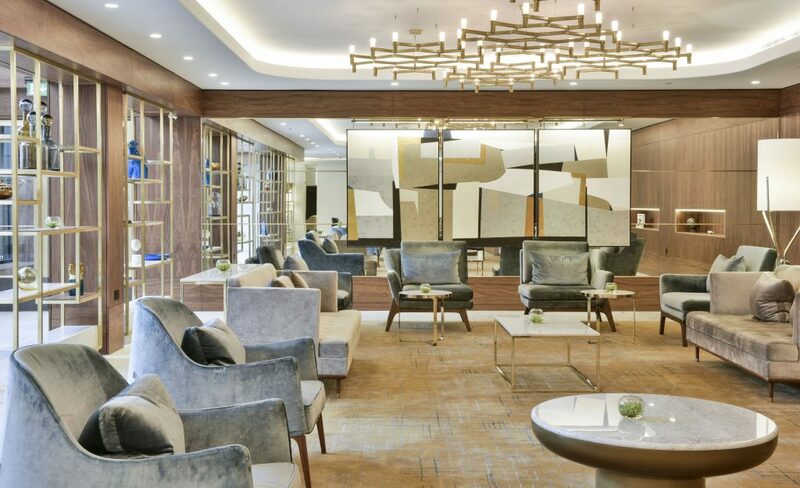 After a huge 80-million-pound renovation the hotel is back in the city’s top segment since November 2017. The members of the royal family in the nearby Kensington Palace are not only famous neighbours but also guests. In the glamorous 80s for example, Lady Diana celebrated at the Royal Lancaster in her legendary turquoise dress (that’s why turquoise was one of the preferred colours during the hotels renovation). These days Prince Harry and his wife Meghan Markle were already seen here as well. 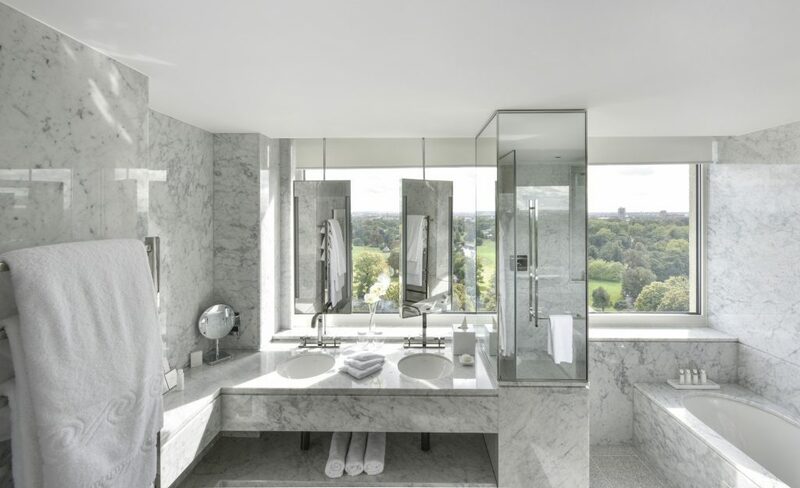 You are looking for the perfect view in London? Here it is. When it comes to view in London you might think of The Shard. Indeed you have impressive views from the Shangri-La Hotel at the new 306-meters-tower. But think twice. 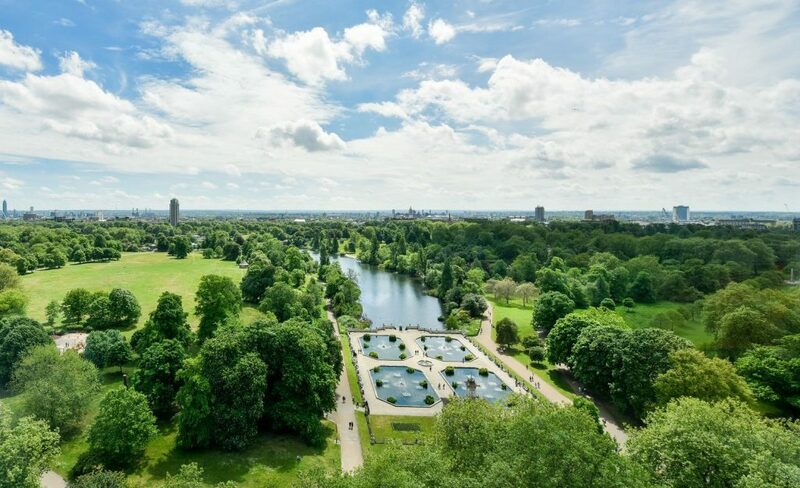 Would you like to stay in the decentralised and soulless financial district when you can stay directly at the most famous Royal Park with all the good neighbourhoods within walking distance (South Ken, Notting Hill, Marylebone, Mayfair)? 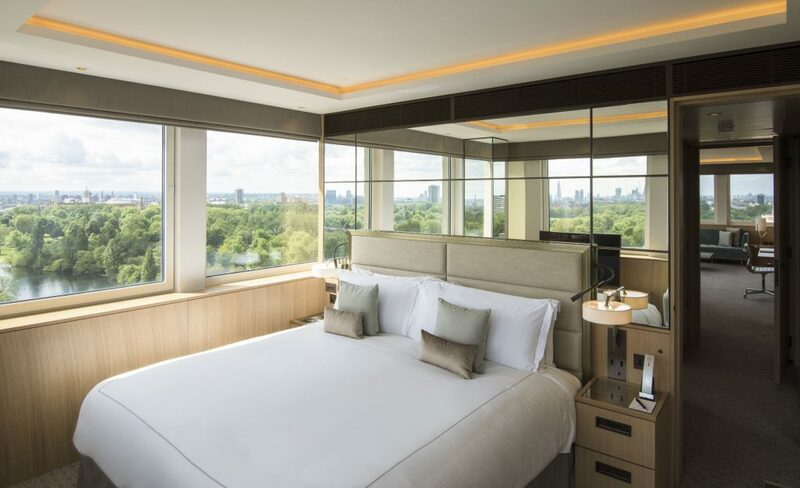 In the Royal Lancaster you have really spectacular views of the adjacent Hyde Park and the famous London skyline. This is very very rare in London and in no other hotel around the park it is that impressive. What is the style of the rooms like after the big renovation? Classic 60s style. You feel like you became part of the new Mad Men series. We really love that. 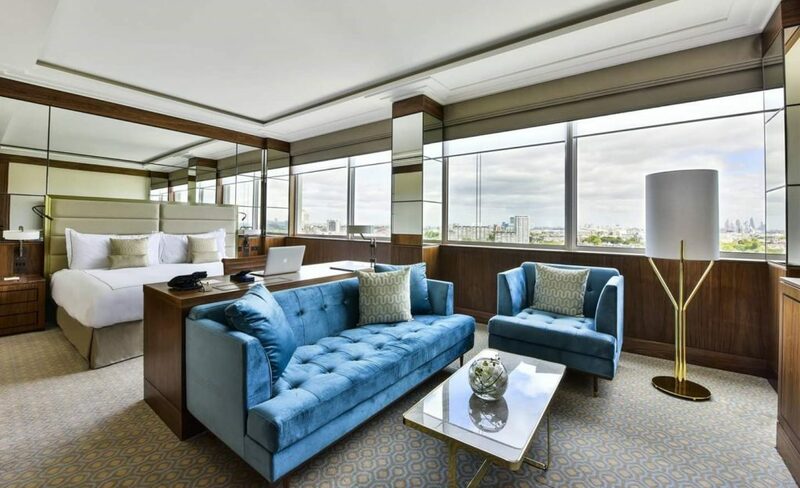 The amenities including 55-inch TV, USB hub and Nespresso machine are comfortable and the white marble bathrooms with heated floors and walk-in shower are very luxurious. All the rooms have good views, but of course the ones located on higher floors on the park side are the premier choice. We stayed at an Executive room on the fifteenth floor (room number 1516) and the view was unforgettable. When you are looking for something special choose the wonderfully elegant Studio Suite or go all out: The Royal Suite and the Lancaster Suite are entertainment spaces that beg to be filmed. Everything went more than well. The team was highly professional, sympathetic and friendly. 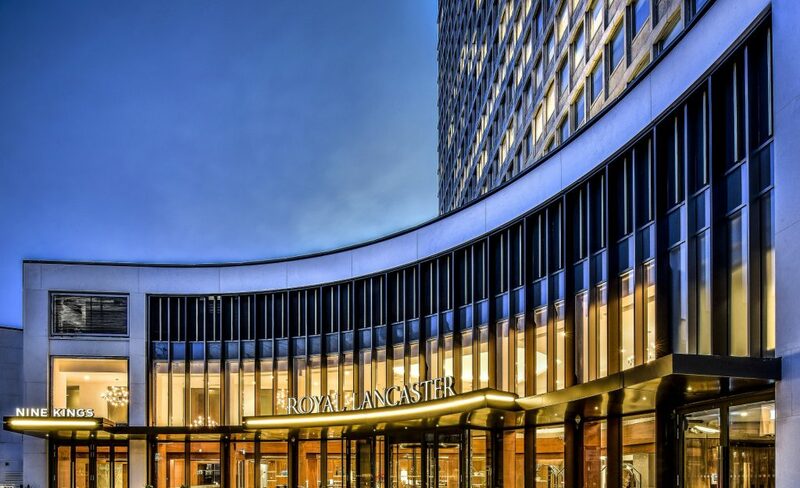 We strongly recommend Royal Lancaster because you get a lot (perfect view, good location, stylish rooms, professional service…) for reasonable money. 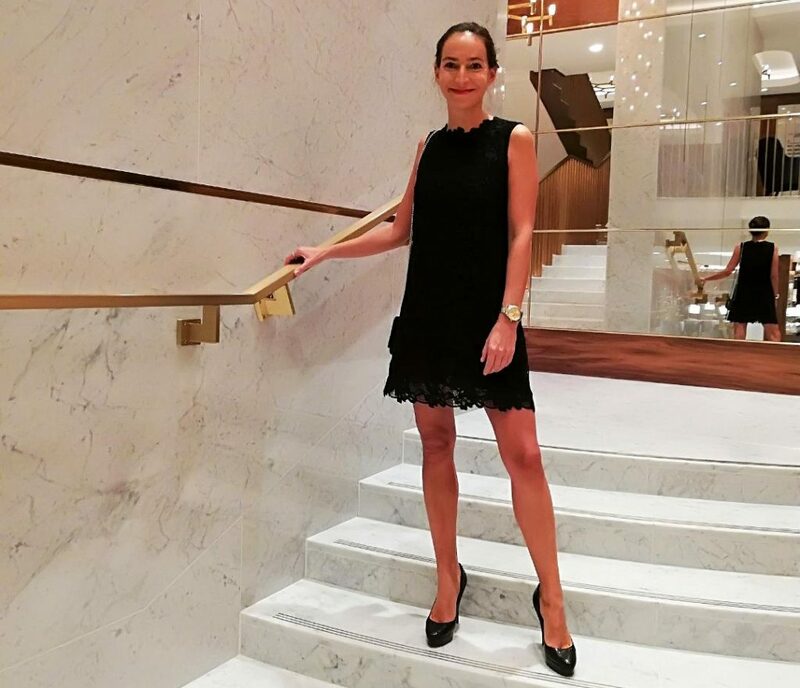 After the renovation we would classify the experience not far away from the most expensive Mayfair hotels but here you still get rooms starting from around 200 pounds.